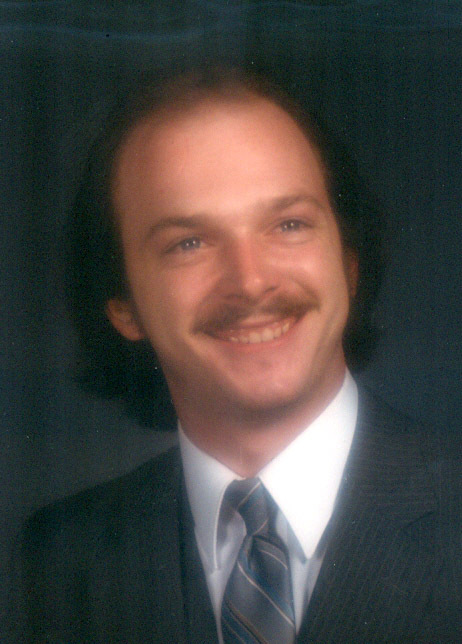 Steven James Riley, 53, of Liberty, passed away May 30, 2018 at NorthCare Hospice with family at his side. Rosary will begin at 5:30 pm, followed by visitation from 6-8 pm, on Monday, June 4, at Park Lawn Northland Chapel, I-35 at State Route 291, Liberty. On Tuesday, June 5, viewing will be from 9:30-10 am, followed by Mass of Christian burial at 10:00 am, at St. James Catholic Church, 309 S. Stewart Rd., Liberty. Burial will follow in Resurrection Cemetery. Memorials are suggested to the American Cancer Society. Steve was born October 11, 1964, in Independence, MO, the third of five children of James Howard and Mary Marlys (Harens) Riley. He graduated from Liberty High School and was a lifelong member of St. James Catholic Church. Steve was a heavy equipment mechanic for KCP&L for 19 years. Survivors include his wife of 33 years, Christine (Harding) Riley; daughter, Jamie Riley; parents, Jim and Mary Riley; siblings, Jeff Riley (Tracy), Cindy Smith (Perry), Ron Riley and Pat Riley (Sharon); as well as many nieces, nephews, other family members and friends, including Cheyenne, Carmen, Rylie, Clara Mae and Baby Kash, who lovingly called him Papa Riley. Our sincere sympathy for your loss of Steve. Always a smile and helpful hand. We know he will be missed not only by family but all his many friends. My heart is so broken. Stevie was one of the sweetest young men. My deepest Sympathy for my dearest friends Jim & Mary Riley as well as the entire Riley family. May you all find peace now heaven has a new Angel. My deepest sympathy to you, Chris and Jamie. My thoughts and prayers are with you both and your entire family at this very sad time. Steve you will be missed by all. You put up a good fight. You may have worked for Fleet, but you'll always be a part of Iatan. RIP my friend. Till we meet again. Prayers to the family. My deepest sympathy to the family, I worked at Iatan with Steve, he was a great mechanic and a very kind and sweet man. He will be sadly missed. I will keep your family in my prayers.